The rapid development of infrastructures brings more and more of Indonesia’s 260 million inhabitants online. Primarily accessing the internet through mobile devices, the large demographic of connected Indonesian drives the development of the country’s technology companies and ecosystem, particularly the online shopping market. Indonesia’s e-commerce has been a red hot market for years as many businesses are interested in its enormous potential. Aware of the country’s large population and anticipating its digital explosion, local and foreign companies and investors have launched e-commerce websites, applications and marketplaces. Some of them have become very successful, with millions of visitors every month. 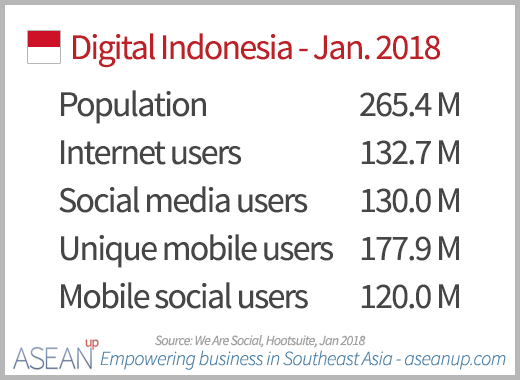 It is not surprising that the Indonesian market is already counting several large players who already reap the benefits of the country’s explosive digital growth. 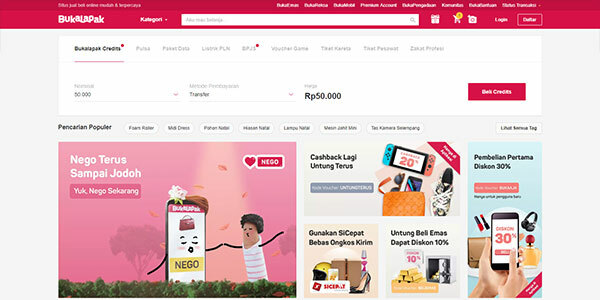 However, without a clearly hegemonic leader and a lot of room for growth, Indonesia is one of the countries in Southeast Asian e-commerce that can easily allow the development of underdogs and the entry of newcomers. To give you more perspective of the large volumes and the competition in Indonesian e-commerce, here are the current top 10 leaders of e-commerce websites in 2017 and their estimated monthly traffic from SimilarWeb. For those who would like to go further and plan to expand their e-commerce or internet business, consider buying our spreadsheet of 400 top blogs of ASEAN-5 to easily find partners for influencer marketing and SEO. 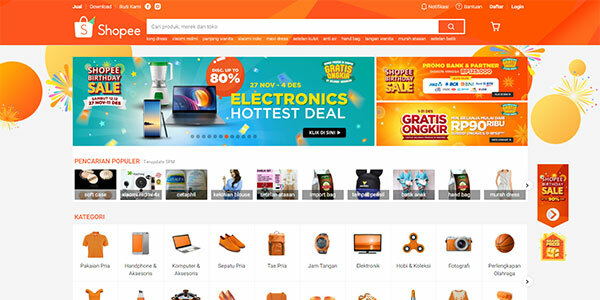 A leader of e-commerce in Indonesia, also present in Thailand, the Philippines, Singapore, Malaysia and Vietnam, Lazada is an online department store and marketplace for retailers to sell their own products. Founded in 2011 by Rocket Internet, the Chinese e-commerce giant Alibaba acquired a controlling stake in Lazada and its operations in Southeast Asia in 2016. 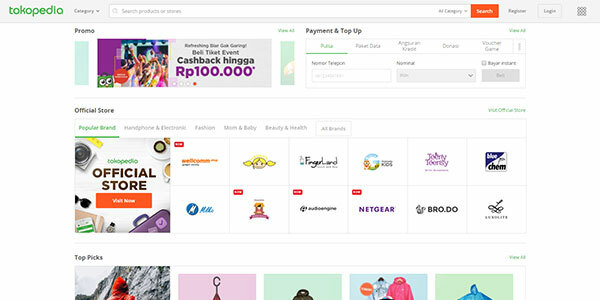 Bukalapak is another of the leading online marketplaces in Indonesia, providing an e-commerce platform for brands and individuals to easily buy and sell online. 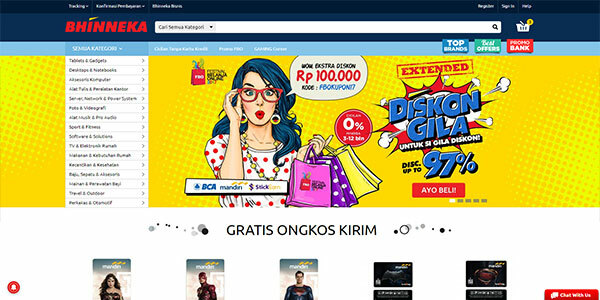 Bukalapak insists on the ease and reliability of e-commerce, providing extra financial guarantees to its customers. Bhinneka is a chain of specialized department stores providing computers and gadgets, electronics, home appliances and electric accesories and tools. 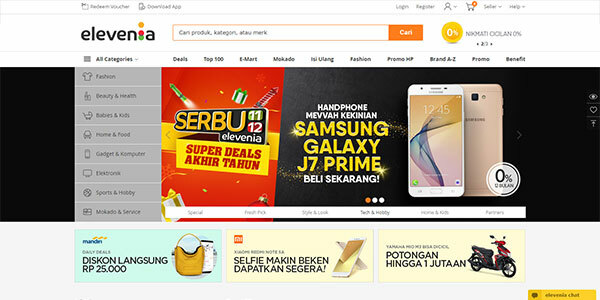 A pioneer of e-commerce in Indonesia, Bhinneka has developed its web platform to sell these products online. Zalora is the largest e-commerce site in Southeast Asia specialized in fashion. Enabling fashion brands to sell their products to the site’s visitors, Zalora was founded in 2012 by Rocket Internet. Zalora is present in Singapore, Malaysia and Brunei, the Philippines, Thailand, Vietnam, Hong Kong and has recently launched in Taiwan. 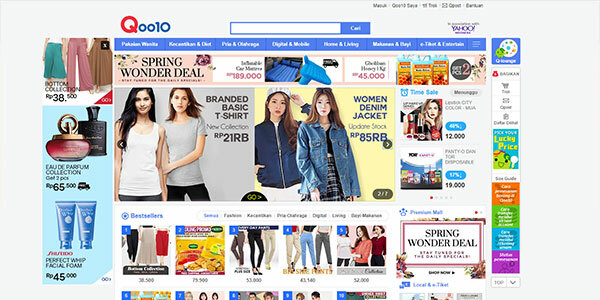 Qoo10 is an online marketplace especially developed in women and fashion with a large portfolio of Korean products. Operated by a joint venture with eBay following the acquisition of the South Korean site Gmarket, which rebranded to Qoo10 in 2012, it is present in other Asian market, especially in Singapore and Japan, and aims at expanding to other Asian countries. Besides their websites, most of the top 10 e-commerce players detailed here also have mobile applications available on the different apps platforms to allow users to shop online through mobile devices. In addition to some players like Shopee who are primarily present in mobile commerce, the digital application also Carousell has a strong mobile presence. Other strong mobile commerce players in Indonesia include Sale Stock, Taobao and Akulaku. 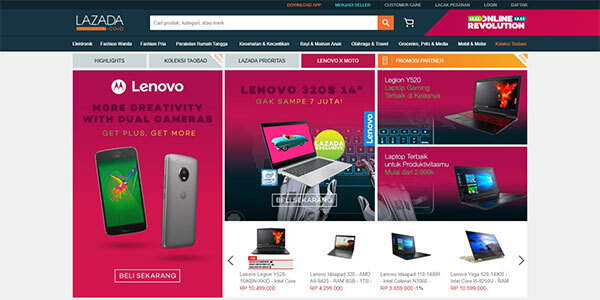 The estimated monthly traffic from the top 10 e-commerce websites previously listed demonstrate that there is no clear leader in Indonesia, with Tokopedia and Lazada fighting for the lead, both above 100 million visitors per month, and Bukalapak as well as other players following not far. 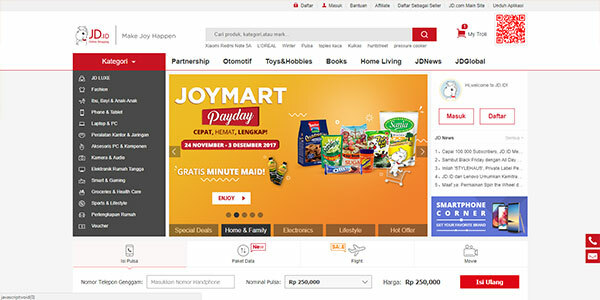 Though generalist websites make up for the largest part of Indonesian e-commerce with a few category-specific players, some specific brands are also very active to sell their products online. In Indonesia, Traveloka and Garuda Indonesia are leading the hotels and travel bookings industry and online airlines ticketing respectively. 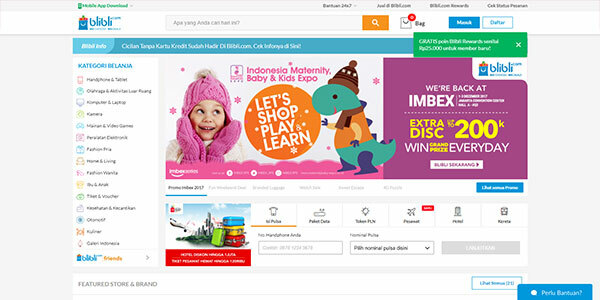 Leading the peer-to-peer classifieds market of Indonesia, with more than 70 million visitors per month, Kaskus can also be highlighted for its size, potential and intention to move towards e-commerce. There are several other classifieds players, general or specialized in cars and/or houses and apartments, but few really make a difference besides OLX Indonesia, which also has more than 65 million visitors per month. It was very helpful information for my research. However, kindly update the traffic data with latest figures.